Game consoles are instantly recognizable as an icon of nostalgia, thanks to its standout design. All you need to do is show a Game Boy colour to any noughties kid to bring back flooding memories of childhood. Jennings Ford has taken the design language from the much-loved consoles and translated them into vehicle form. Even though the retro consoles themselves may be fast becoming redundant, the memory of their design will live on in a future-friendly format. The team at Jennings Ford directly set themselves the challenge of transforming some of the funkiest games consoles of yesteryear into their counterparts. In a time where tech giants like Google and Apple are dipping into the world of automotive design, there's no reason why Nintendo and Sony should not get involved as well. 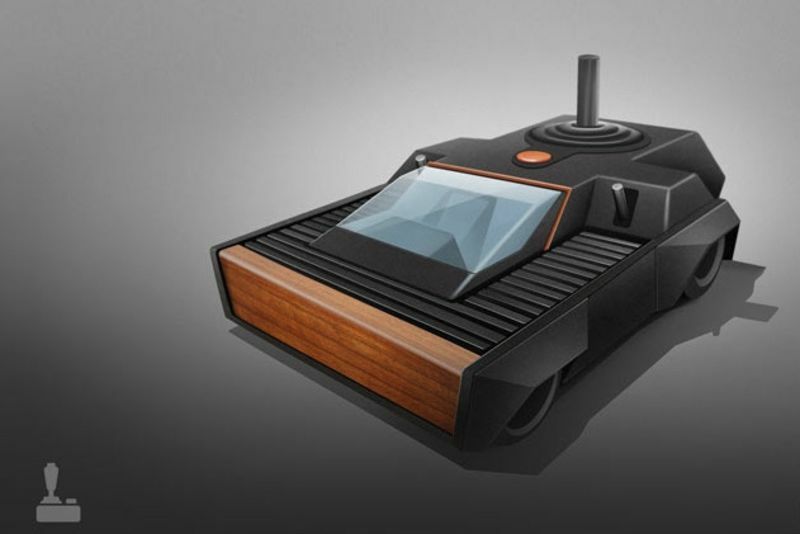 The collection of designs feature classic consoles such as the Atari 2600 – complete with its trademark faux-wood panelling and a chunky black chasse – and the good old PlayStation 2 car, decked out with a 128-bit, 294Mhz emotion engine running under the hood. The Game Boy colour also makes an appearance, designed aptly as a reliable model that will never let you down, along with Nintendo Switch – a sporty two-seater that looks like it's ready for anything. The console car line-up also includes the good old Xbox 360, which – never one to be behind on technology – is, of course, a driverless model. The last three places are taken by the elegant Indigo Gamecube, the sleek Sega Genesis, and a boxy-yet-loveable NES mobile, which is a car perfectly kitted out for the whole family. Have a look at the gallery above to see all the different console car designs. Video: Ever Wondered Why Sports Cars Look Best In Red?